I can't believe it's Labor Day weekend already. This summer felt like it flew by at record speed! And here I am, barreling towards my 34th birthday next week. Where does the time go? Anyways, while one of my favorite year-round pastimes is eating delicious food and pairing it with even better wine, salads are definitely the unofficial signature dish of summer. That said, I am not the biggest fan of lettuce, so I like to try filling my salad bowls with unique layers, textures, and flavors. And since Marc and I love to riff on recipes we find in various cookbooks (some of which were birthday gifts from me to Marc—the gift that keeps on giving!) and on Pinterest, I thought I'd share a mashup of a few different recipes that we've been eating on repeat for the past month or so. 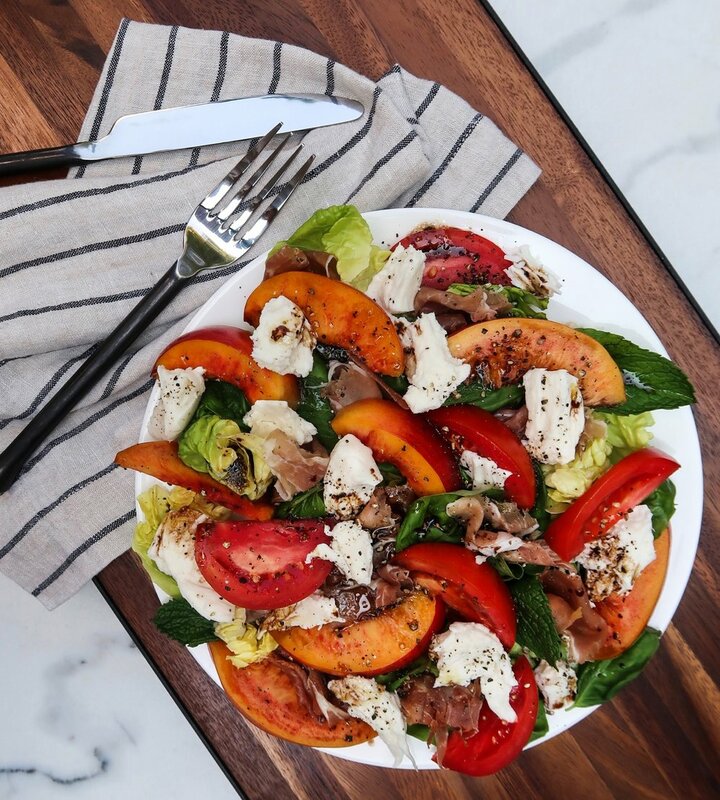 We're calling it the Nectarine Caprese Salad. 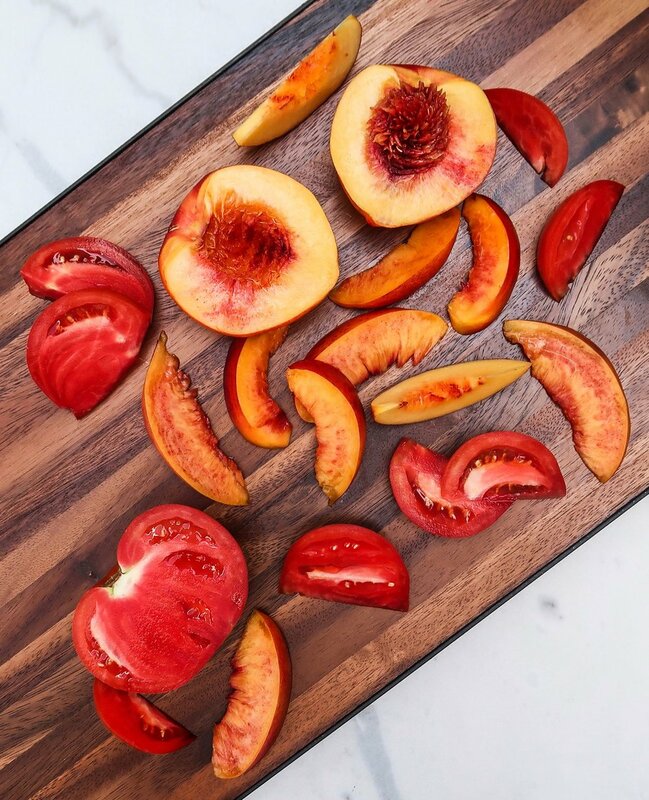 I've been mildly obsessed with peaches and nectarines all summer long (it doesn’t hurt that they pair super well with rosé and white wine... and when you think about it, even a light chilled red?). 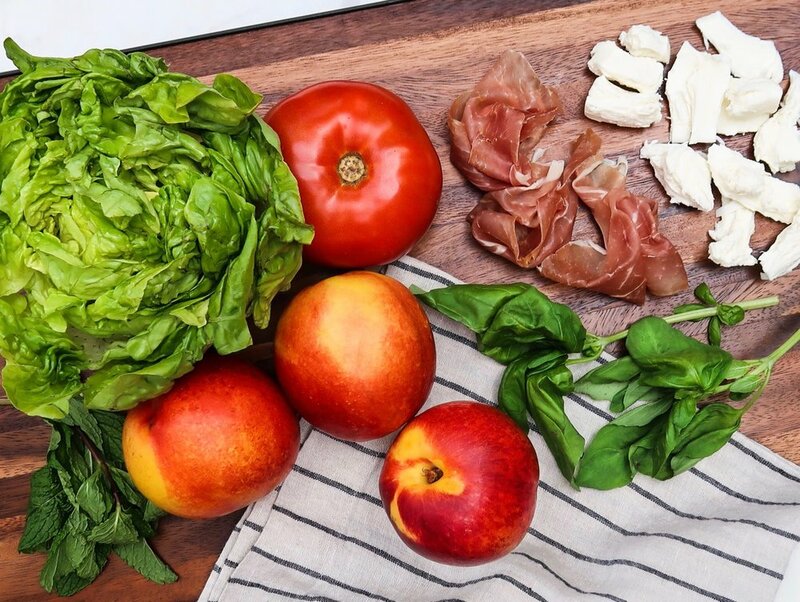 Plus, I’ve learned that August and September are great months for ripe tomatoes and nectarines in particular, so the timing seemed à propos for getting the word out about this dish. And in a surprising plot twist, this is a recipe where I actually feel like I can help in the kitchen. That’s how you know it’s simple! So without further ado, here's how to make my favorite salad to celebrate the end of summer. Bon apetit and happy Labor Day weekend!